I just found this great mobile app called Timeshel. This service is really neat! You know all those pictures you take on your phone that just sit there and never get printed? Well now you can easily have them printed and sent to you. Timeshel allows you to make an account where you can add either 10 or 30 photos to your “story” and they will print them and ship them to you each month! They have two shapes the rectangle (for iPhone) and a square (for instagram). 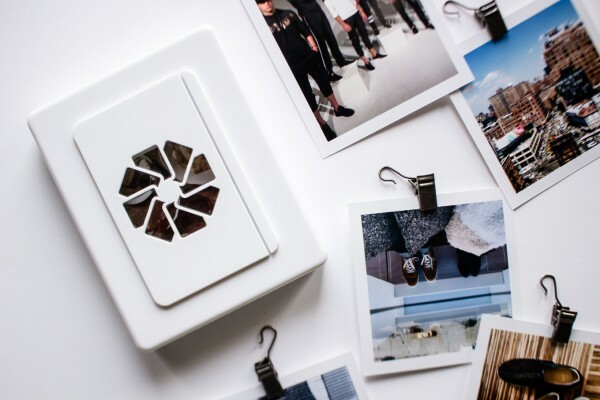 The pictures come in a great little plastic box which makes them great for storing. The pictures are really great and high quality. We printed 10 to try it out and we loved them all. Great service! timeshel is a super simple iPhone app that turns your mobile photos into beautiful prints and delivers them each month. We believe in the power of the printed photograph to document and preserve our stories. Switch between two tiers of service (10 prints or 30 prints per month) at any time to meet your printing needs. Prints come in two sizes: A rectangle in the native iPhone aspect ratio and a square for all the instagram lovers out there. Add any combination to your story and timeshel will print them all. Throughout the month, add moments to your timeshel story with only 4 taps from the home screen. At the end of the month we automatically print and ship your story. On the 1st of each month a new story opens up so you can keep adding moments and building your story. You can check them out on their Website, Facebook, Instagram, & Pinterest!